I see a warrior’s face. No fear and no disgrace. But what a life it lives. No cries to make you doubt. The tears are ours to save. The warrior is a child. This is the day we’d been waiting for… today all the scans and tests and biopsies come together to give us a final reading, an official diagnosis, and stage Jake’s cancer. Talk about nerves! The whole ride in, Henry and I probably said two words – just held hands. I found myself on my phone as the texts rolled in… so many sweet texts of prayers and love and encouragement. But I was a bucket of tears just waiting to spill. You’ve heard people say “feels like my blood was boiling”… usually that’s said in an angry type of setting. Not here, it was nerves and anxiety… to me, it felt like my blood was boiling in a way that had me literally shivering like I was cold. Over the past week, we’ve noticed Jake worsening. His fever is now daily and he just doesn’t feel well. His eyes are deep-set with a purplish color under the eyes and he looks anemic, where he didn’t before. He walks with a limp and moves slowly – his legs are bothering him a lot. I can’t describe the fear and concern – there is just a deep feeling of heartache. 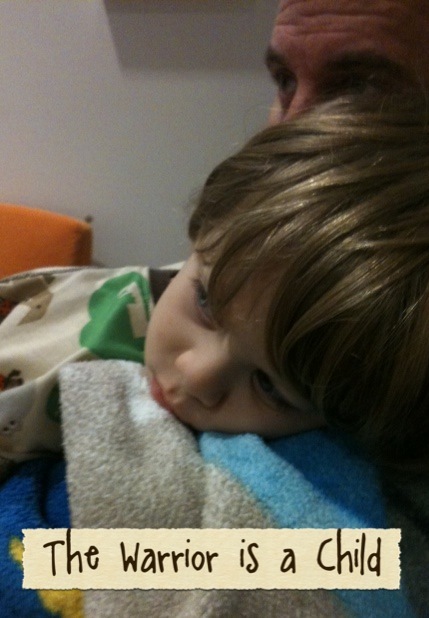 As we went to this appointment, Jake was running a low-grade fever and had no energy. A very different child than the one who walked in here 11 days ago, playful and smiley. I think the doctors were surprised to see him like this. We too have been surprised at how drastically his health has changed in just a couple of weeks. We began to talk and they pulled up the images I’ve said it before, they have been so honest and factual, preparing us well each step of the way. We were prepared for the formal diagnosis of Neuroblastoma and for the stage to be high. So far the rug has been pulled out each time we meet. First, a tumor in the leg. Then, anomalies in the legs, knee, and pelvis. Then the large mass and liver lesions. They began, “As we suspected, it is Neuroblastoma. It is High Level, Stage 4, Neuroblastoma. It is in his bone marrow. We will treat it very aggressively. We have every confidence that we will get him to the other side of this. We will start immediately… tomorrow.” Just like that. Tomorrow we will go in and pump drugs that kill into my baby, so we can save his life. How ironic. How terrifying. How did this happen? This isn’t what we wanted to hear today but there is peace in knowing and going forward. The week spent on edge is over. They will treat him very aggressively, it will be awful, and hard, and long, and we WILL beat it. All of his treatments will be inpatient and multiple day infusions. My dear friend, Paula, reminded me today that “the statistics give you a survival rate…why can’t Jake be part of that %? Someone has to be!” Her words flooded my every thought and got me through the day – and she’s right! So, no time for tears because we have much fighting to do. And so we pick up His sword and His armor for……. the warrior is OUR child!